Big changes are barreling down the pipeline for Kubuntu. Developer Jonathan Riddell recently announced that Kubuntu 15.04 will feature KDE’s next-generation Plasma 5 desktop environment by default. “It has shown itself as a solid and reliable platform and it's time to show it off to the world,” he wrote. 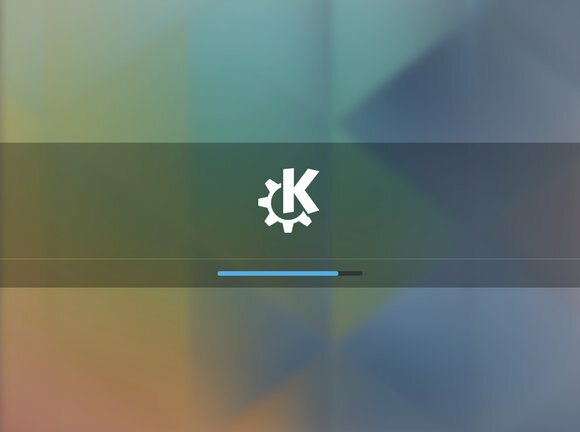 This means KDE Plasma 5.0 is basically “KDE 5.0”—a huge step forward for the KDE project. 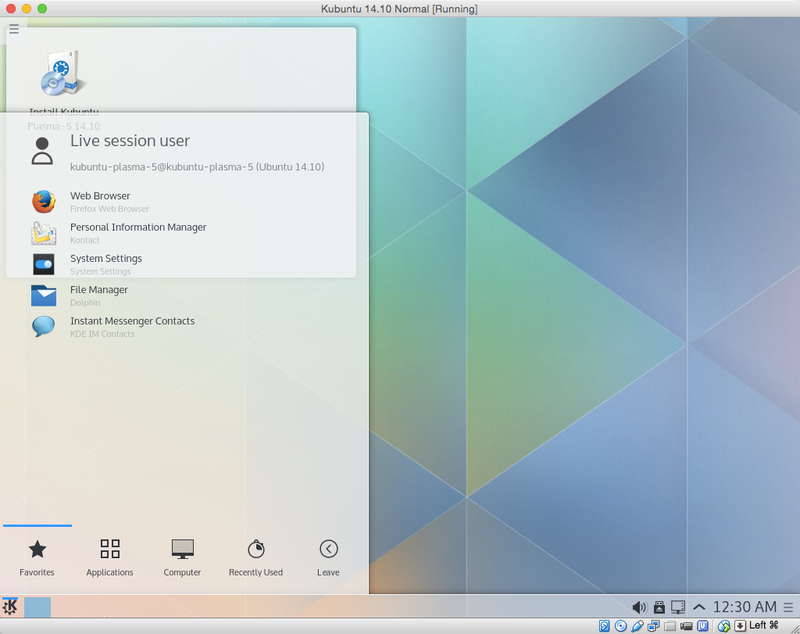 14.10 is an odd release for Ubuntu and its KDE-sporting Kubuntu derivative. For Ubuntu proper, the real action is going on in those Ubuntu Desktop Next images. For Kubuntu, the Kubuntu 14.10 Plasma 5 Tech Preview images are the place to look. Plasma 5.0 brings significant changes, both visual and under the hood. The first thing you’ll notice is the new theme, named “Breeze.” It’s a high-contrast, flat theme designed to be cleaner and more readable, with more a focus on typography. Mac OS X Yosemite and Android Lollipop immediately came to mind when I first saw the Breeze theme in action, but that isn’t fair to KDE. Plasma 5.0 and Breeze were announced long before Apple showed off Mac OS X Yosemite and Google demonstrated the flat “Material Design” for Android L. The KDE project clearly had their finger on the pulse here, and they’re keeping up with the big commercial operating systems. Plasma 5 and Breeze definitely feel modern. There are also some neat effects. When you move a window around, the window becomes partially transparent, which makes positioning the window easy by allowing you to see behind it. It’s like the translucent eye candy found in Windows 7 and Mac OS X Yosemite—but more functional. The interface should also feel smoother, but not just because of the new theme. Plasma 5.0’s user interface is rendered with OpenGL, which means it can entirely be offloaded to the graphics hardware. This frees up CPU resources and makes the interface smoother. It increases your desktop’s FPS, as a gamer might say. Plasma 5.0 also has updates to better work with high-DPI displays, from Apple’s “Retina” displays to those high-DPI screens popping up on PC laptops and tablets. The interface can scale more intelligently. The graphics stack changes lay the groundwork for Plasma 5.0 to run on Wayland, a new display server system being designed to replace the X Window System and X.org. Canonical is heading off in their own direction and developing Mir, a display server that will compete with Wayland. The KDE project doesn’t appear to have any plans to support Mir. This is sure to be a point of contention in the future, as the Wayland vs. Mir debates can already get quite bitter at times. Ubuntu’s Unity desktop isn’t the only project chasing a goal of convergence . Plasma 5.0 has a “converged Plasma shell.” This shell lays a base that can adapt to present different experiences on different devices. 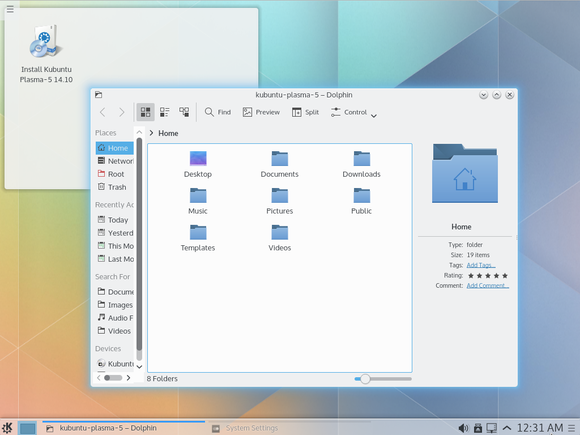 These user experiences can be switched between while the Plasma 5.0 shell is running. So, if you plug in a keyboard and mouse, a tablet running Plasma 5.0 in tablet-experience mode could automatically switch to desktop-experience mode. This is sort of like the “Continuum” feature Microsoft is planning for Windows 10, but hasn’t yet released. To be fair, KDE doesn’t have this working yet either. Plasma 5.0 just features a desktop experience for the Plasma shell. Tablet and media-center experiences are also on the roadmap, but haven’t been created yet. KDE’s “Plasma Active” software actually launched on tablets in the past, but they weren’t a success. KDE's Konqui mascots. They're so cute! In other words, they’ve streamlined the interface and made it faster to use without performing any jarring interface changes. 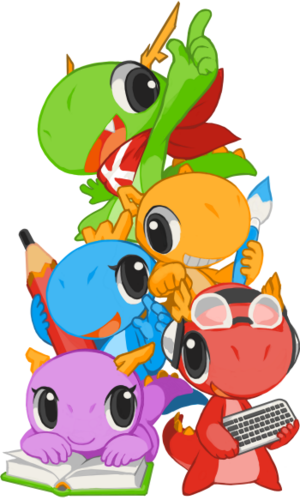 If you’re used to KDE 4, you’ll immediately feel right at home with Plasma 5.0. Plasma 5.0 shouldn’t bring the teething pains that big desktop redesigns like GNOME Shell, Unity, and even KDE 4 brought. Plasma 5.0 still isn’t done, and KDE’s announcement makes it clear that some features are absent. The Kubuntu project also notes there are some missing pieces, but they should be filled in during the next six months before Plasma 5.0 becomes the default desktop environment on Kubuntu. But don’t just read summaries. Try it yourself! Grab Kubuntu 14.10 Plasma 5 Tech Preview images from the Kubuntu project’s download page and play with them yourself. Put them on a disc or USB drive and boot the live system, or fire them up in a virtual machine. Plasma 5 ran well in VirtualBox for me, and all the fancy graphics stuff worked well without any tweaking required. You’ll be asked for a password, but the password is blank—just press Enter to start experiencing the future of KDE.